Gertie, Chuck, and Phil all predict early spring! We have officially made it to the halfway point between winter and spring, Groundhog Day. German settlers brought a holiday called Candlemas Day with them to the United States. Traditionally, if the weather is fair today, we will see cold weather for the rest of winter. Likewise, when Marmota monax doesn't see his shadow, the weather should be warmer. Individual rodents have varying degrees of success. Locally we have Gertie at Wildlife Prarie Park. Two of the big national woodchucks that are pestered and predicting today are Phil in Punxsutawney, Pennsylvania, and Staten Island Chuck. 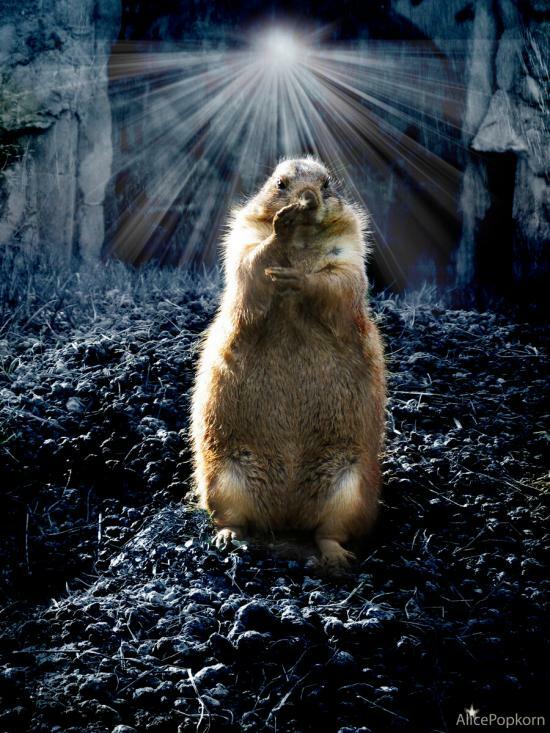 All three groundhogs saw their shadow and predicted an early spring. The arctic cold snap and piles of snow on the ground might lead you to believe otherwise. Here's to hoping!